Sometimes you know you are going to see a bad movie. You know that you have played all the four games on a particular theme and you accept that the movie will never ever be able to even touch the level of the excitement that the games once reached you to. And sometimes you are mistaken. 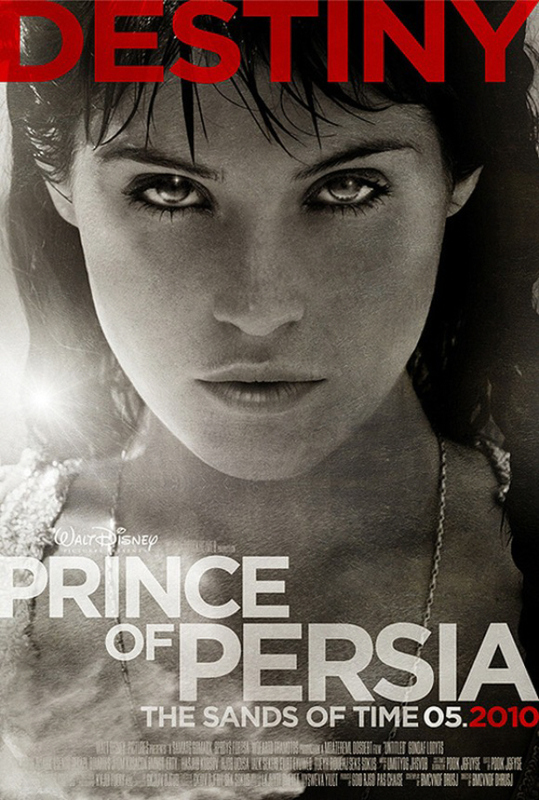 Prince of Persia: The Sands of Time is an adorable movie. To the ones who have played all the games, and to the ones who haven't even remotely heard about the persian prince at all, alike. The best part is that you don't need to play any game at all to understand and relish the movie; and having said that, if you have played all the games, you know the script writer knows that you have played 'em all. There are many subtle jokes on the games themselves, which the layman would skip off and the gamer would acknowledge with a big smile. But would come to that later. The story? Not as complex as the games. The theme? Very clichéd for a POP series. The Prince commits a mistake and embarks upon a dangerous journey to amend it all. It's not the story, but the treatment of it that captivates the audience. The way the movie progresses, the gradual unfoldings, the unanswered queries, the hints, the traps, the drama, the romance... not to miss the action and unexpected comedy. POP SOT is a perfect entertainer. In some terms, better than the critically acclaimed and criticised Sherlock Holmes one. Ben Kinsley takes the Nizam to a new height. After that momentary appearance in Teen Patti, he desperately needed to deliver better... Gyllenhaal, indeed was a surprise, though. 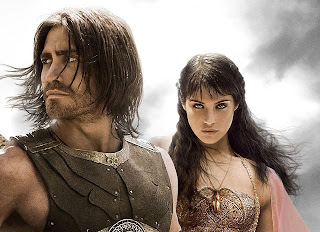 I had never thought that the gay partner of Heath Ledger in Brokeback Mountain would rise to become the mighty Prince of Persia... lol. But the show stealer is Gemma Arterton, who, not surprisingly, was the only good thing about the disasterous movie: Clash of the Titans...remember? In one of the ostrich racing scenes, she looks awesomely gorgeous. That particular frame should not be missed. Note it down. Though the action disappoints a little, all in all POP SOT is a nice movie. Worth watching. And now for the ones who know the Prince through the awesome games. Yes, it was a treat watching him alive. This movie actually was a hotch-potch of all the four games. The story of the 'The Sands of time', the costume of the 'Warrior Within' and some special action sequences of the 'The Two Thrones'. 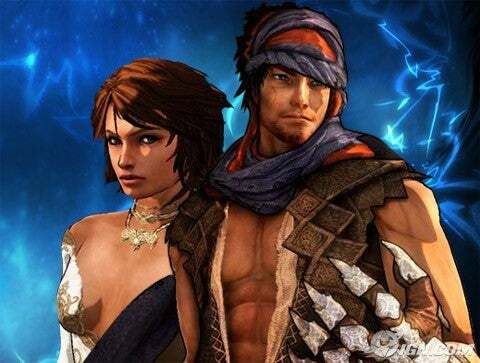 The way Prince flirts with Princess Tamina reminds me of Elika, the girl from the fourth game. The whole fourth game was about how the Prince heroically intervenes in the battle of the Gods of the Princess's kingdom and selflessly helps her in eliminating the darkness of chaos. And here, the Prince sheepishly says (quite out of context), "Those are your Gods. Fight them on your own." This brought smile on every gamer who has played the fourth one. An embedded joke on the source game. Yes. The combat sequences are disappointing and do not match the class and acrobatics displayed in the games. Well, that's where the movie makers had to put more money in the graphics and animation. It could have been even more gamelike. But wait, was this the objective? I guess not. P.S. For those who want more of the Prince action, well, here's the news. 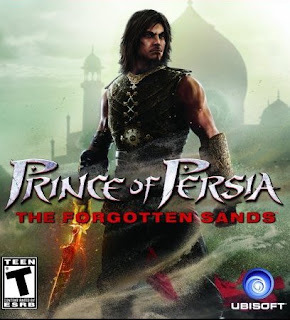 The PC version of the 5th installment of the POP Series has been launched by the name, Prince of Persia: The forgotten Sands. Njoy. P.S. The copyrights of the images used in this article belong to the respective parties involved. aS has used them just for illustration. @G2:- ya movie was awesome...but if this is an attempt of urs in anyway to inject some joke from a homosexual angle....I had written http://bit.ly/ar1qpb long back..for PEOPLE LIKE YOU...JUST LIKE YOU. @ all :- please hear what the author has to say.He has a valid point.